Volcanic beauty, summer mood amazinh views and fine dining. 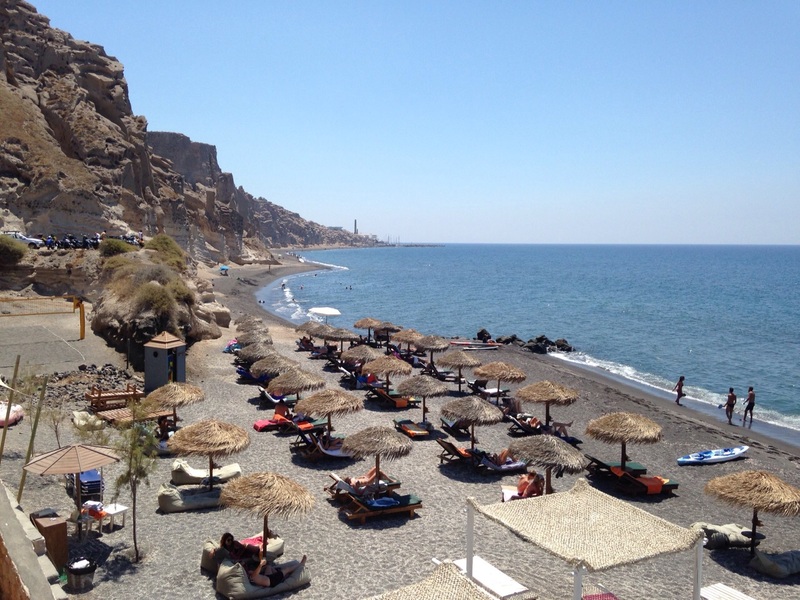 Theros Wave Bar, located on Eros beach in the south of the island with its crystal clear waters and fine, black sand. Endowed with all the gifts of nature, at a beautiful volcanic landscape on a beach protected from the winds, Theros Wave Bar was created with a unique style to offer its guests total relaxation and real summer fun under the sun. Theros Wave Bar with its impressive architecture, the minimal décor and delicious gastronomical proposal awaits you from early morning for coffees and fresh juices till evening for cocktails and cool drinks.